PAUL opened its first store in Singapore a few months back and has seen a continuous stream of customers both for the bakery and the restaurant itself. There were mixed reviews about customer service and food standard at PAUL. My experience however, was a wonderful one. Orders were taken and served promptly, iced water was served despite having ordered beverages and staff were helpful with enquiries. 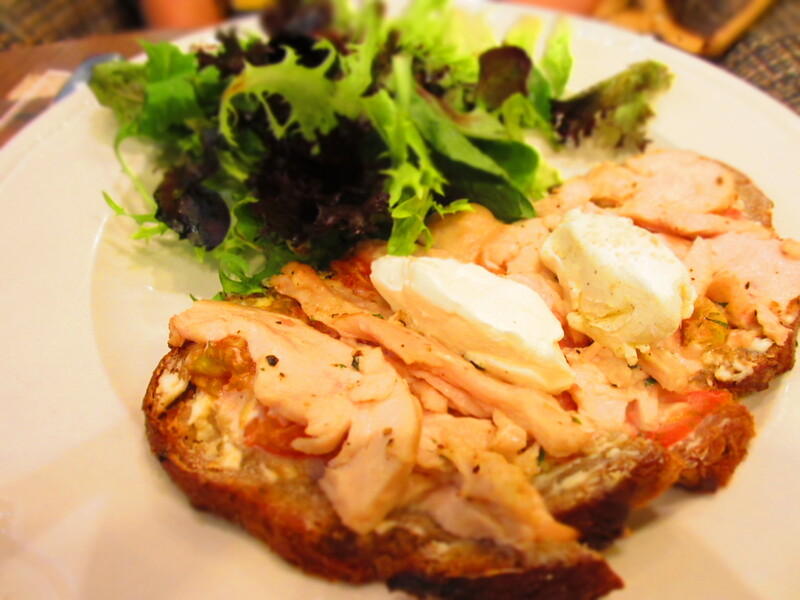 Tartine Poulet Marine ($17.90) — The tender chicken breast was marinated with lemon sauce and evenly distributed on the open-face sandwich. Thank goodness the slice of bread was thin for it was a tad too tough. My mum who isn’t a big fan of sandwiches enjoyed this a lot! 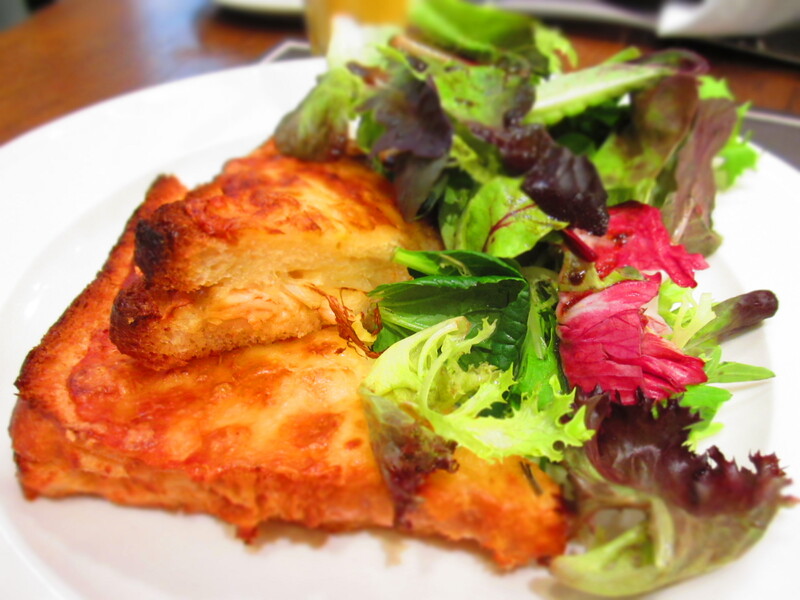 Croque Saumon Poireaux ($17.90) — They seemed to have forgotten to add leeks as promised in my dish. In between the cheese-fried bread was very delicious minced salmon and a layer of melted cheese. A little dry on its own, it’s balanced by the greens with balsamic vinegar at the side. 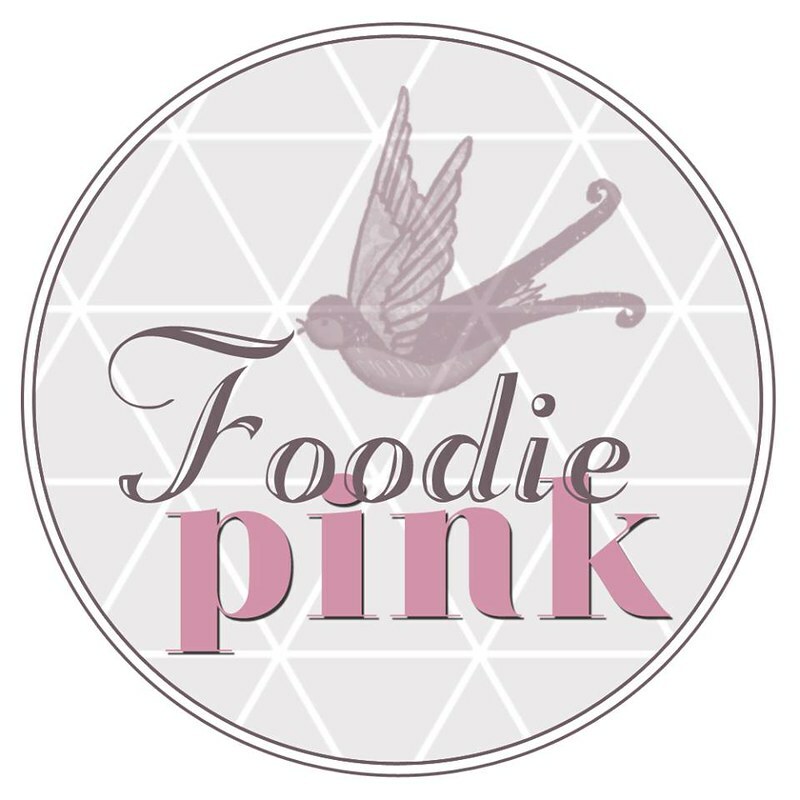 If you want a taste of French, try this! 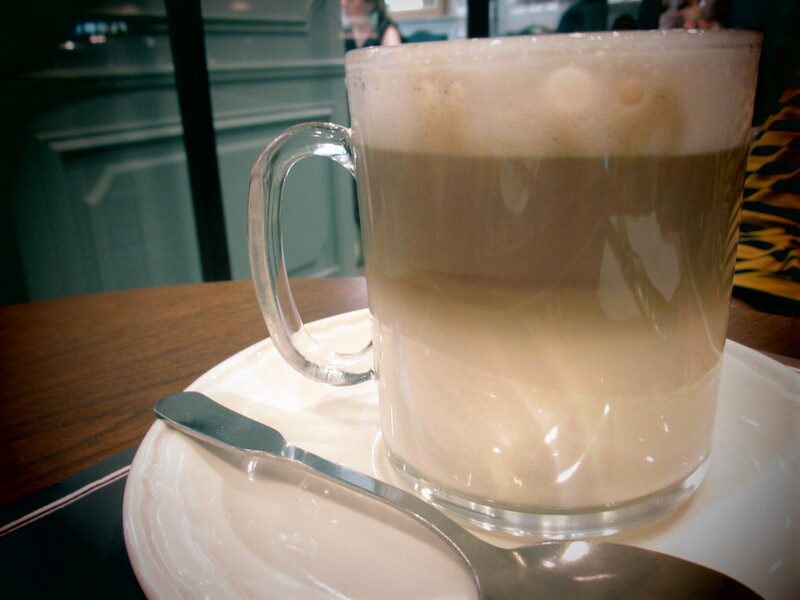 Cafe Au Lait ($5.80) — This contains 2/3 milk and 1/3 coffee. A very delightful proportion. Freshly Squeezed Orange Juice ($7.80) — I was very disappointed with my cup of orange juice. It lacked the foam of freshly squeezed juice and it tasted almost identical to Fruit Tree’s orange juice with pulp (okay it probably was). This is completely unacceptable as given the price I’m paying, I’d expect my juice to contain at least 5 fresh oranges. I will appreciate some level of integrity in the menu too. 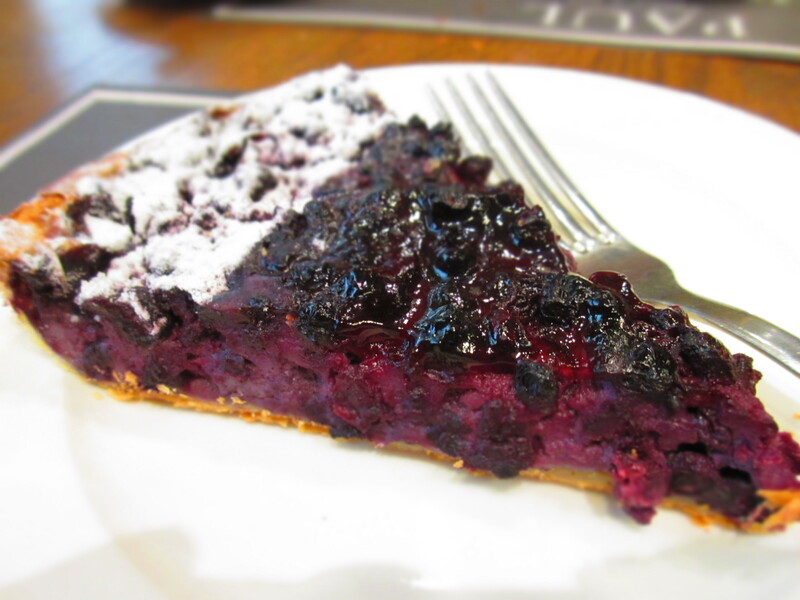 Fruit Tart of the Day ($6.40) — This was a very satisfying dessert as every mouthful was power-packed with blueberries. The crust was puff pastry instead of the usual biscuit base, a fine surprise indeed. I wanted to order the macarons initially only to find out that they were priced at $6.10 each as they were palm-sized. 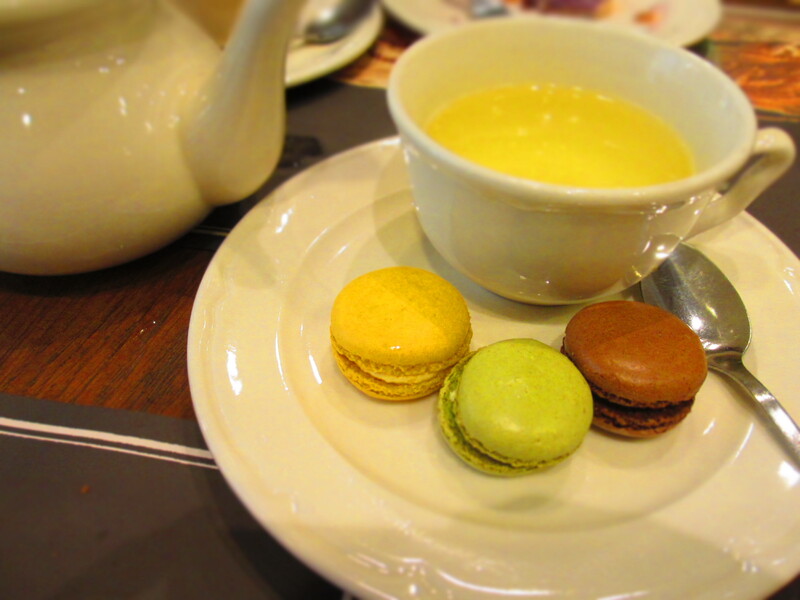 I was then recommended to try the tea set ($8.90) that came with 3 mini macarons. Those were good. p.s. : do check out the interesting history of PAUL!